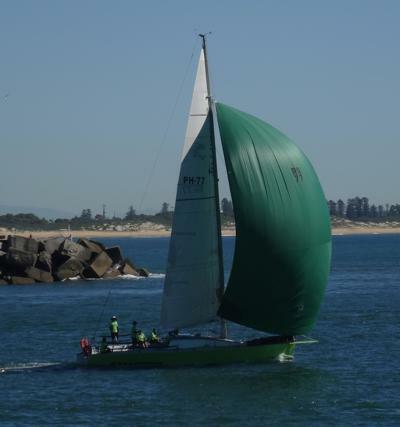 Stampede, a modified Inglis 39 with an attached bow sprit, used to be owned by Rob Francis and Corinne Feldman who sailed it to PHS last overall in their last venture in the Gold Coast Race in 2011. However, they achieved second place in PHS Division in the 2007 race finished ninth in the 2008 race. Michael McDonald and Jon Lattimore from Lake Macquarie purchased the yacht and kept the name. This will be its first Gold Coaster four years and their first as its owner.